CEO of Spoof Animation, he talk about his studio that produced comics and the difficulties they have to face. 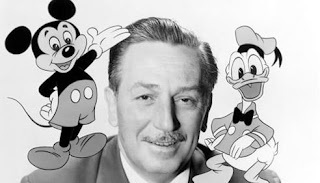 How did you personally come to animated cinema? I loved the old classics from Disney animations. I mean, Cinderella, Snow white etc. I also loved animation on TV and I grew very fund of them. I really loved to see things move and I had dreamt of doing so myself. Like I usually say, animation makes you into a demi god and you can create and make things come alive, just like God did in the beginning of creation. So I began to study and read on my own and get tutorials online to help me get better. Spoof Animation was a dream that I had always had but decided to wait till now to begin because I needed to gather enough experience and training about the industry. So in November 2015, we got an office and started some skeletal work and started recruiting team members. It was not until January 15, 2016 that Spoof Media LTD was incorporated as a full legal business entity ready to provide services in the area of animation, comics and book illustrations. What is you model in animation? My role models will definitely be Walt Disney, his story inspires me a lot and makes me believe that such a life and experience can be recreated here in Africa. In Spoof animation studio, you train young people free of charge. What purpose? Yes, animation is a game of numbers and we have realised that in Spoof. To make a full feature length animation film we will need at least 200 animators and crew members. We realised we don’t have that number of people yet and animation is very expensive to learn abroad. 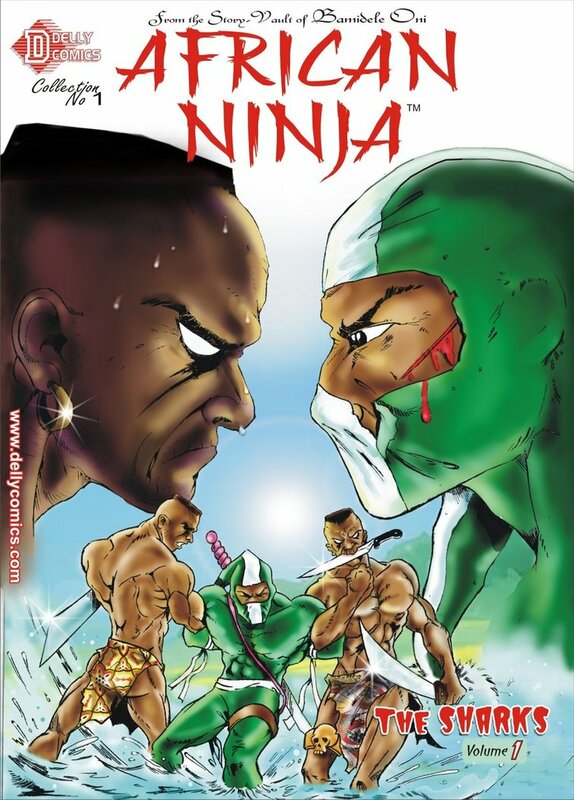 So we decided that if we actually want to see a full feature length film done by Nigerians we will need to train. We are giving this training out free because we are in a hurry to meet this 200 mark as we hope to commence full production on our own feature length film in 2018. So there are not many animators in Nigeria? They are a number of animators in Nigeria doing their stuff in their bedrooms or where ever. However there are only few animation studios. Collaboration has always been a problem in animation in this parts and that is why when I founded Spoof I decided to bring some animators together to achieve something together as a team. Do you use 3D in your work? For now, Spoof has only produced short films. You are working on a series, “Area daddy”. When will it be ready? We have just been selected to pitch the Area daddy Animation series at DISCOP this year in South Africa. We are hoping to get some content distributors to take it up from us and spread it widely across Africa and the world. However we currently share the cartoon strips of the series on our social media platforms so our fans can get to know about the characters and get ready to see them on the screen. What are the characteristics of Nigerian animated films, how are they different from those existing on the market? I think majorly in the dialogue and the way the stories are told. The Nigerian animation is Nigerian and uses language, dressing and environment that passes across the Nigerian Culture and values. Usually, people don’t see animation like something serious. What can you tell them to make them change their minds? It’s all about the story. If a serious story is told through animation, it would be taken seriously. Animators need to understand that animation is beyond making drawn characters move. They have to move to tell a compelling story. This is what dictates the perception of the viewer. A part from illustrators, animated films industry needs equipment, solid financial investment; do you have them in Nigeria? We have all of the above with the exception of the solid financial investment and equipment. Once we have these two, I believe we are set to show the world what we’ve got as far as skills go. Those who have seen the potentials in this growing industry don’t have adequate investment strength while those with investment strengths either don’t have the awareness of what an investment opportunity it is or are just not convinced enough. With financial investment, the equipment problem can be dealt with. There is a real market of course. What is lacking are contents to ignite further enthusiasm and followership. I believe as much market there is for Nollywood is open to animation contents. Federal Government is planning to invest in infrastructure to support the animation industry. Is it good news for you? There can’t be a better news than that for the industry. Government input by way of infrastructure and grants has been missing for too long in the animation industry. We need it to grow and we need it like yesterday. Can animated films find a place in Nollywoodfilm industry? The place of animation films in Nollywood as far as I know has been begging to be filled for the past decade. Nollywood is ripe enough to accommodate animation films. This one direction Nollywood producers must begin to look into with serious business intents. Spoof took part in The Lagos Comic Con. How this kind of event could help the development of animations industry? 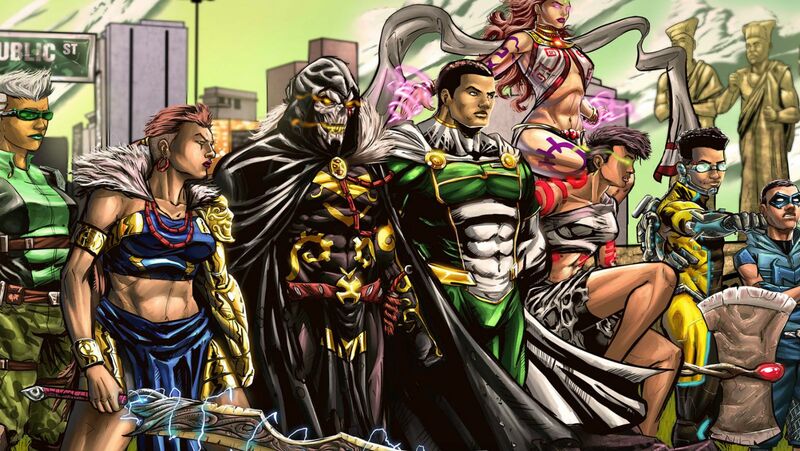 Lagos Comic Con is designed to drive development in the animation, comics and gaming industry. It has been successfully doing that, especially this year’s event. The aim is to gather all the players in the industry under one roof where they exhibit their works, meet and network with fellow professionals, get noticed by the potential clients, partners and possibly investors. This year, Spoof Animation premiered its short action flick, Strikeguard, a 2D Animated film based on a comic book. The reviews and applause were overwhelming. After that show at the comic con, content creators with good stories to animate have been contacting us to help them animate their stories. 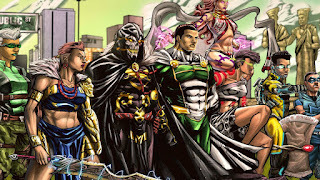 This is one of the ways participants of the Lagos Comic Con benefit from it. So, the event has a massive developmental role to play in growing the industry. What are your dreams for animated films in Nigeria and Africa in general? My dream for animated films in Nigeria and Africa is that we reach the level of the Americans in global reach. That is, we have amazing characters and stories that are widely followed and popular like the Batman and Superman of America. I dream of when from over here we embark on an animated film project from start to finish and this films grosses hundreds of millions in dollars worldwide. To be honest with you, I do not think of this as a far-fetched reality. Africa is the new frontier in stories and entertainment. With the level of zeal and skill I have seen over the past few years, it is only a matter of a couple of years and we will be there as long as all the vital ingredients are complete in the broth.